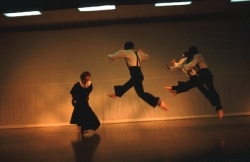 Patricia Jane St.John Danko. 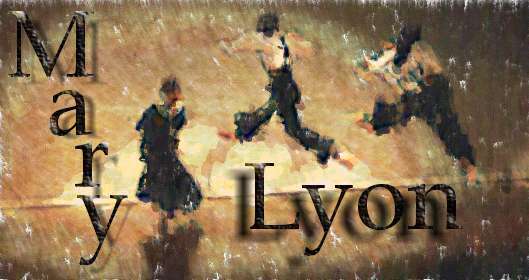 "Mary Lyon". 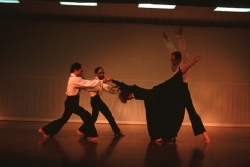 "Mary Lyon," a ballet conceived and choreographed by Joan Karff, was performed by The New Dance Group in Houston, Texas at the Kinkaid School Auditorium in 1988. Mary Lyon founded Mount Holyoke College in 1837 in South Hadley, Massachusetts. She endured much opposition to her efforts to educate women, as women's education in America was frowned upon by her contemporary society. Ms. Karff commissioned Ms. Danko to create masks to depict the stiff and rigid men who opposed Mary Lyon as she set about to raise funds for what would be the first college for women in America. 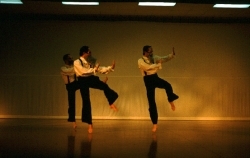 The piece was part of a year-long celebration of the 150th anniversary of the founding of Mt. Holyoke College.